Large book chains, on-line booksellers and the increasing popularity of e-books have all proven to be challenges to the success of independent bookstores. 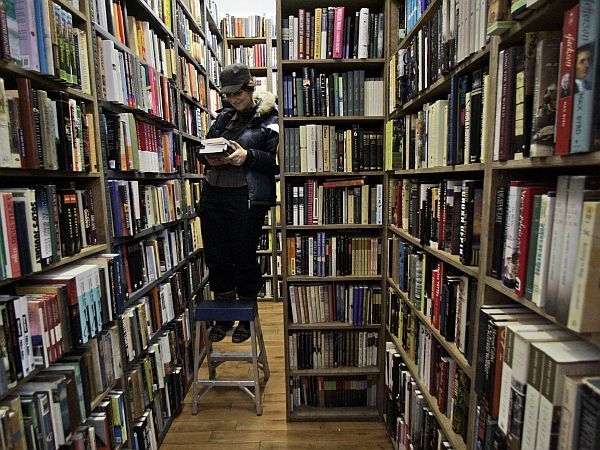 So what does the local bookseller do to survive? Chris Morrow of Northshire Bookstore, Claire Benedict of Bear Pond Books and Penny McConnel of Norwich Bookstore explain their strategies for remaining relevant in the digital age? Also on the program, Charlotte was without a farmer’s market, so a group of residents got together to create their own – online. The concept started last summer and has now spread to more than a half dozen Vermont towns and one in California. One of the founders of the project, Suzy Hodgson, explains how it works. Plus, sculptor Augustus Saint-Gaudens established a home and workshop in Cornish, New Hampshire. They are now part of the National Park Service. VPR’s Betty Smith visited the grounds with writer and historian David McCullough who conducted extensive research for his latest book, "The Greater Journey: Americans in Paris," at the site.